Need help Packing You Stuff? Sometimes it makes sense to hire a packing service or hire Texas Best movers in San Antonio to pack you items when you are moving your home or business. 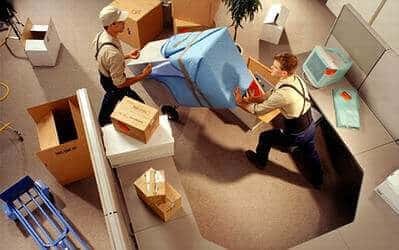 Many who are planning to relocate their commercial business, home or residence believe that they do not need to get the assistance of a professional San Antonio packing service. However the hectic schedules in the modern world and the amount of information that is needed to organize can lead people to seek the assistance of our professional packing services. Families, individuals and businesses who are planning to relocate will soon realize how much stress that is associated with the entire packing and moving process. When it comes to moving, packing consumes a lot of time and it is one of the most important activities of the entire move. If your items are not packed correctly, sometimes they will not get to their destination safely. This is where our company’s packaging services in San Antonio comes into play. There are plenty of reasons to consider a San Antonio packing service like ours before relocating. Time can be considered as the most valuable aspect you have and our San Antonio movers can save hours of your valuable time and stress by hiring a professional packaging service. If you are trying to go through the process on your own, you will be thinking of million things to do to make sure that the process proceeds as smooth as possible. Most will not have the time to put towards packing and labeling their belongings since they have so many other important things to do in their day. You may not have the time to find boxes, pack all of your items and label everything for an efficient move, as well as finding all of the packing supplies needed to move everything safely and securely. Therefore, it is totally worth it to save your time and your sanity and give the entire process to a professional mover that provides expert packing services. Liability issues can be considered as another main reason for you to think of hiring a professional moving and packaging services in San Antonio. Most moving companies will not accept liability for the items that you have packed yourself. For example, if some of your valuable items that you own gets damaged during the transporting phase due to improper packaging, you will not be able to compensate your loss. Our professional packaging service in San Antonio has plenty of knowledge as well as experience in doing the work right. They use ideal tools to pack your belongings in a safe manner and label them to avoid hassle. San Antonio packaging services are the experts, not you. All of us love to get our work done by experts in the industry. Therefore, we can simply give all our packaging work to a professional like San Antonio movers and keep the peace in mind. They have access to different tools and packaging materials that you don’t have. They also have gone through a professional level training to get the job done in a perfect manner. If you value your belongings more than money, or if you are not ready to accept unnecessary damages, it is essential to think about getting the help of packaging services San Antonio. The amount of money you spend on such a service will be a great investment done towards your future as well. When hiring Texas Moving and Storage for your packing services you can rest assured that your household belongings will safely arrive at their destination. Our highly trained and skilled packers will wrap up your belongings with the proper materials necessary and taking extra care of your most fragile items. We utilize the correct amount of packing paper, bubble wrap, dish packs, etc. Our moving packers make sure that all your items are carefully marked and labeled. Depending on the size of your move, we can assist you in purchasing the necessary amount of packing materials needed. Contact our courteous staff for assistance.